What is the city transit system? What is the population of Omaha? What county is Omaha in? What are the Fortune 500 Companies in Omaha? What is the address of Omaha&apos;s convention center and arena? 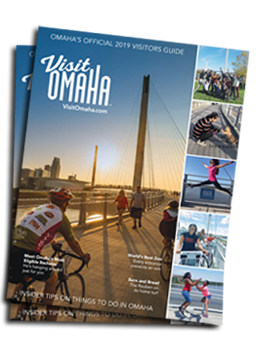 How far is the Airport from Downtown Omaha? Less than a 10-minute drive. Do hotels offer a shuttle service to and from the Airport? All downtown Omaha hotels offer a complimentary direct shuttle to and from the airport. Please contact your hotel directly for more information. What is the tallest building in Omaha? First National Bank Tower at 16th & Dodge Streets, 40 stories high. Where is the Old Market? In downtown Omaha from 10th to 13th Streets between Farnam and Leavenworth. How do I get College World Series tickets? Please refer to the College World Series website, www.cwsomaha.com, or call their office at 402.554.4404 for the most current information. Where is the College World Series held? At TD Ameritrade Park Omaha, 1200 Mike Fahey St, Omaha.